In this 55-minute class we focus on core stabilization, developing healthy movement patterns, and building a foundation of whole body strength. You will develop healthy movement patterns, and learn to lift moderate weight (kettle bells) during these classes. This is NOT a conditioning boot camp class. We WILL build strength. Participants will improve their overall athleticism, upper and lower body strength, coordination, and back and core strength. Building strength can plateau if you are not continually being challenged, so when you are ready for more specific programming that suits your needs you may transition into one of our personal training options. 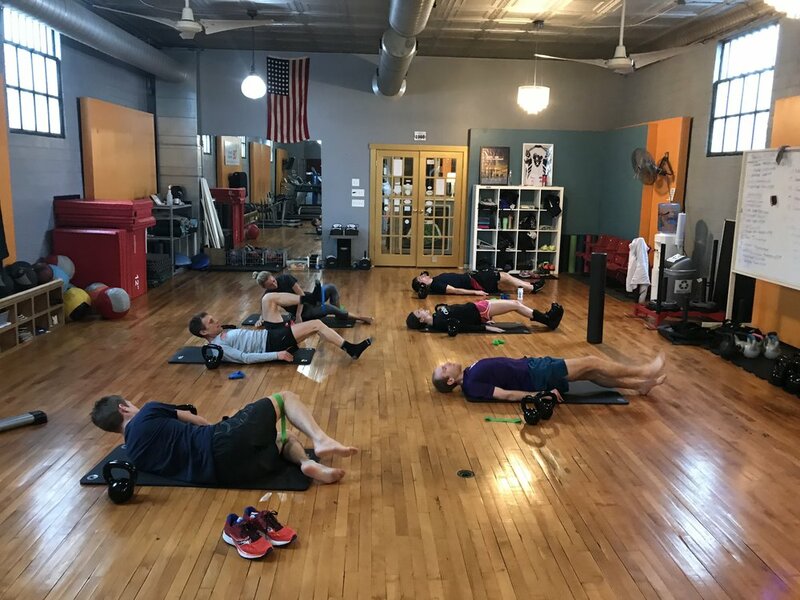 In these sessions you will perform a more personalized strength training regimen that builds an even stronger foundation than what our classes provide. This is done by graduating to more challenging exercises with different gym equipment that is safely suited for individual or small group instruction. You can expect to perform exercises that utilize your body weight, TRX straps, kettle bells, foam rollers, exercise bands, medicine balls, box steps, pull-up bars, and more.